Management has always professed that people are a company’s most valuable asset. However, demonstrations of that belief are hard to find. A leader who wants to grow human capital needs to apply approaches identified in a University of North Carolina Executive Development ideas@work article. Become Students of How to Build Better Leaders Faster: leading organizations stay current on talent management best practices and ‘invite experts to audit their talent building practices and are open’ to new innovations that fit their business and talent development needs. Teachable moments are not dismissed; rather, they are discussed for purposes of learning and what would be done differently next time. Whom in your organization is as good or better than you? Who could replace you in 1 – 2 years? Whom do you know outside our organization who could replace you in 1 – 2 years? Whom do you know within the company who could replace you in 1 – 2 years? These are tough and intimidating questions for managers unless you provide them with an open and trusted forum that is inclusive of them. You need to be sure that they too see opportunities for growth and identification. Continually Assess and Develop their Team to Ensure World-Class Talent: Great talent building organizations keep a list of leaders who are great performers and have ‘the greatest potential for the future.’ They constantly discuss the strengths and development needs of their direct reports, focusing not just on the top 20% but also others who are coachable to reach the top tier, and those who are blocking high performers from any opportunity to grow. Active review and evaluation are ongoing and systematic. Continually Recruit External Talent: By speaking to outsiders and external recruiters, they have a method for ‘calibrating’ their talent against world class alternatives. In fact, some are ‘willing to cold call these individuals to get to know them and establish relationships’ which could possibly result in future recruiting efforts. Most importantly, talent builders seek non-natural sources of talent. They peer around many corners for new and fresh perspectives. Accelerate the Development of Talent: Leaders in talent building organizations get to personally and professionally know their direct reports and two levels down. 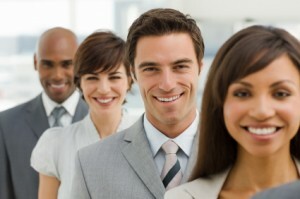 They demand their managers identify assignments and moves for all their high potentials to ensure ‘development plans accelerate the likelihood of these individuals advancing to their next jobs.’ Techniques used in this process include multi-rater feedback, action learning, transparent performance reviews and stretch assignments.. Doing all the above well and consistently takes a significant amount of effort. But if you want to build the best talent possible, the energy and time required will yield payoffs for your leaders and your organization. What struck me was that in thinking about the leadership shortage hampering today’s emerging multinationals—companies with global ambitions in rapid-growth markets such as Brazil, China, and India—most of us have been focusing too much on the science and not enough on the art. It’s no secret that these companies struggle with talent shortfalls. The problems start with senior leadership teams that lack international experience. Internal management pipelines are thin, forcing companies to poach talent from rivals, which invites all the problems of high turnover and salary inflation. Few have worked out how to reward and retain high performers in markets that are foreign to them. And although C-suite leaders may have a strategic vision of how talent should be cultivated, they aren’t always able to spread it through the ranks. Thank you for reading my blog and visiting my site. You have certainly raised a point I’d never even considered. What these executives and managers in general require is a broader world view of how to grow and nurture people (their ‘human capital’). They should consider hiring human resource and organizational consultants who can help them both locally and as they expand their geographic scope. Right Management’s Trends in Talent Management study looks at how employers deal with these concerns during what many regard as the Human Age of business, where organizations’ success depends most on employees’ talent, skills and engagement. The study, completed in December, garnered input from 929 North American senior executives, human resource professionals and talent managers.The research found employers will cut fewer staff members and may boost hiring during the next year. Further, they worry about losing top performers to competitors, failing to find and keep talented people, and as a consequence, missing their organization’s growth targets.Alone, managers will not be able to generate the robust recovery needed. The changing world of work is forcing talent managers to rethink work models, people practices and talent sources. The talent management team is now in the driver’s seat. They can enable the organization’s talent to deliver on the needed results.The research offered solutions that provide insight for those seeking to better understand the trends affecting both quality of and access to talent. The findings provide a barometer to compare recent trends to the dynamics within North American organizations, and to better understand the implications and subsequent actions required to achieve growth in an increasingly pressurized business environment.Scarcity of Talent and Leader A lack of leaders is the most pressing human resource challenge organizations expect to face in the near future. Twenty-nine percent of respondents cited their organization’s lack of high-potential leaders, while 26 percent indicated a shortage of talent at all levels. P&G screens over a half million candidates globally each year and hires less than 1 percent of applicants. They challenge these new leaders with meaningful work and great responsibility from Day One. Business and functional leaders actively recruit, teach and coach and they mentor more junior employees on-the-job, helping them to develop the skills they need to lead large, global businesses and organizations. P&G managers play a vital role in identifying and growing the company’s next generation of leaders. This starts at the top of the organization. Their CEO, vice chairs, presidents and functional officers recruit on college campuses and teach in their executive education programs.